New Delhi: The #MeToo social media campaign invited women to tell their stories of sexual abuse and harassment. Specially India’s media and entertainment industries have been rocked by accusations of sexual misconduct against prominent men that activists are hailing as the belated arrival of the country’s #MeToo moment. The movement has highlighted the need for workplaces to be free of harassment and intimidation. Moving forward, society must make women’s equality an article of faith. #MeToo has become a strong movement in India. It is courageous on the part of those large number of women who are coming out in the open with their stories of workplace harassment and unwanted sexual overtures from male colleagues. 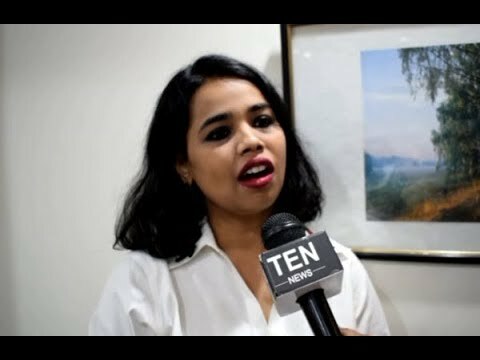 Ten News caught up with the Women in Delhi to know their thoughts about this ‘Me Too Movement’. “There are pros and cons to a movement and there is a possibility that a good thing gets misuused. But because there are or maybe one or two false cases , should you dismiss the entire movement. For example : Rohtak sisters is often quoted. But are you not forgetting that there are hundreds of genuine cases and victims who are waiting for justice,” said Sujata, PhD student from Jamia. “I wasn’t shocked to learn that sexual harassment and assault are so widespread, this has been my daily reality for as long as I can remember, I just didn’t realize that anyone besides the victimized actually cared. Very little in my observations of our culture, our criminal justice system, or the industries where abuse so often flourishes led me to believe that was true,” said one of the Delhitee working in PR company.